Shaped Wedding band featuring converging centre which gives clearance to fit your Engagement Ring. Shaped Wedding band featuring a twisted central portion which gives clearance to fit your Engagement Ring. Diamond Set Shaped Wedding band featuring a wave shaped centre which gives clearance to fit your Engagement Ring. Shaped Wedding band featuring a wave shaped centre which gives clearance to fit your Engagement Ring. 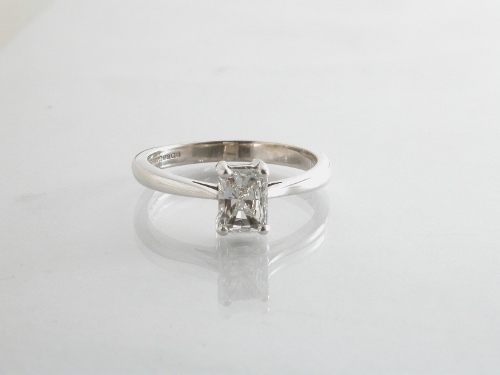 Shaped Wedding band specially made to suit a crossover style of Enagagement ring.